Hi! Thia here from Blue Moon Creation Crafting Station sharing the card I created for this month here at the Crafty Card Gallery! The stamps used are from Spiced Sunshine Stamps, the papers used are from Lawn Fawn. I colored the turkey in using Copic Markers. The stamp set that I used was Close to My Heart’s Thankful Heart (B1463). The star is from the Scaredy Cat Assortment (Z3011). The ink is Cocoa Exclusive Ink Stamp Pad (Z2114). This will be sent to my Mom. Thank you for stopping by. Have a wonderful day. Until next time…. I’m Christina, from the Crafty Card Gallery Design Team. 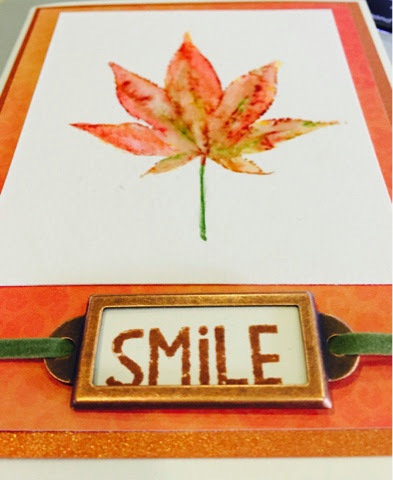 This months card challenge theme, is Fall, leaves, pumpkin, Thanksgiving. For my card I chose to do Fall, leaves. These leaves are so pretty and magical when the change color. Here’s my take on this months challenge. 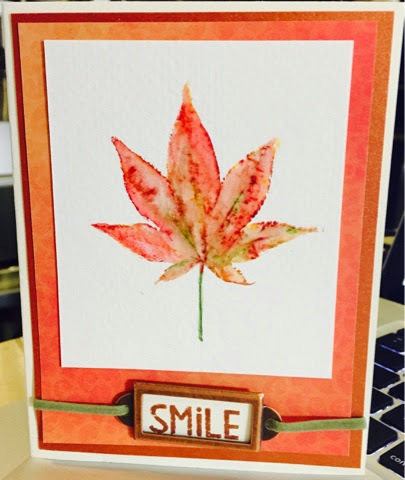 Check out how the leaves are layered on the card, it’s pretty cool right!? Any questions or comments just ask. Hi everyone! It’s me, Tonya and I’m here to share a quick card I created for the this month’s challenge. 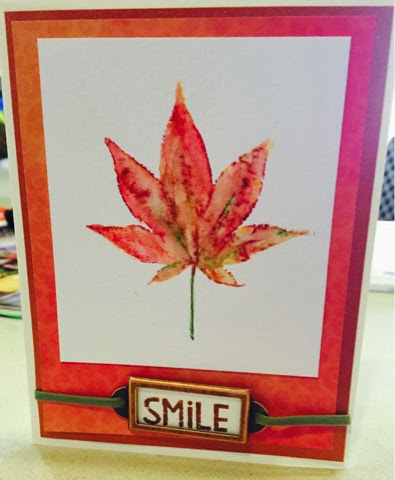 We had to create a card in the theme of Fall which could be either leaves, fall colors, pumpkins or thanksgiving. I started with a 6″x12″ piece of polka dotted cardstock which I folded in half to created a 6″x6″ card base. I cut four pieces of cardstock/scrapbook paper down to fit the front of the card which I then adhered to the middle of the card. Next I printed off the turkey and “Be Thankful” images. I fussy cut the turkey out and the be thankful sentiment I cut from the whole saying Keep Calm and Be Thankful. 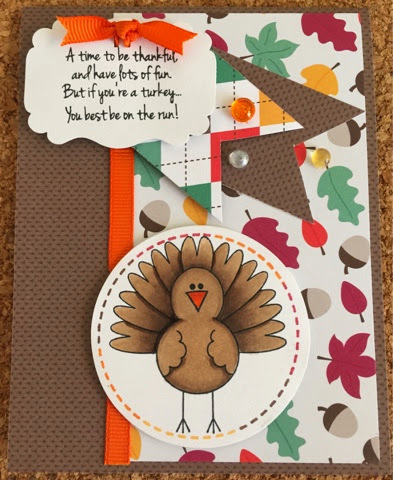 I adhered the image to the card and added stickles to the leaf, turkey and acorns. I adhered a small piece of cardstock to the corner of the card along with the sentiment and a button. 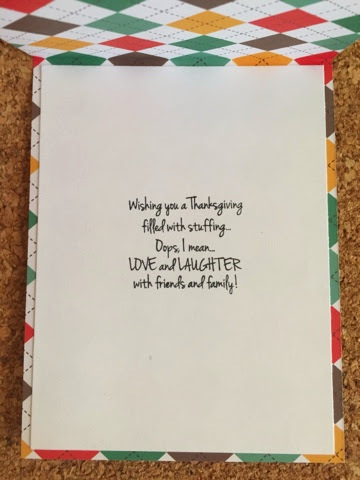 A very easy card other than the fussy cutting. 🙂 If you have any questions please let me know. Thanks for stopping by, hope your Tuesday is awesome and enjoy creating! IHi! This is Jennifer here, and I haven’t crafted in a while. So yesterday I had craft day – it was too fun! I made a wreath & a bunch of Christmas cards. This months theme was leaves. I love leaves & fall colors. So I wanted to try out my watercolor pens with a leaf stamp. I love how it turned out!!! What do you think? Today I’m sharing with you our challenge for this month with the The Crafty Card Gallery design team. For this challenge our theme is Fall; so we’re designing with leaves, fall colors, pumpkins and thanksgiving. We could use one or as many as we’d like. 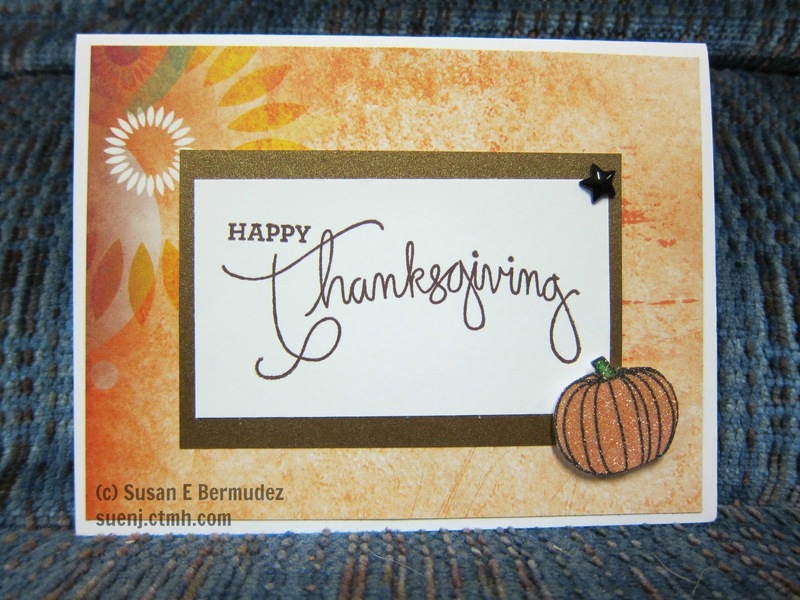 For my card I focused around Thanksgiving and Fall using fall colors. More details about my card can be found on my blog here. Thanks for joining me, may you have a blessed Thanksgiving!